Kiran Bir Sethi founded aProCh in July 2007. She was awarded the Ashoka Fellowship in 2008 for this initiative and was a featured TED speaker at TED India 2009. Kirti Zala is the Coordinator of aProCh, responsible for organizing initiatives such as Street Smart, Parents of the Park, City on Cycles and Mov’ing Experience. Kiran Bir Sethi, a founder of the organization, aProCh, writes of the origins and impact of this school-based project. Kirti Zala, aProCh Project Head, also contributed to the piece. I have been witness to the last five decades of India not as a bystander but as one who has grown up walking the streets of many of our cities and interacting with some wonderful people across three generations. While I love my nation, what does not sit right with me are the many lifestyle changes that have come about in the name of urbanization. As a child, my fondest memories are of how every evening I played on the streets with my friends – games like Gilli-Danda, Pittu and Dabba, I-spy – and how we returned home with dirty hands and feet, sometimes even bruised, but always with the happiest hearts. Over the years, the boundaries of our cities have expanded but, ironically, the free streets and community parks have shrunk. 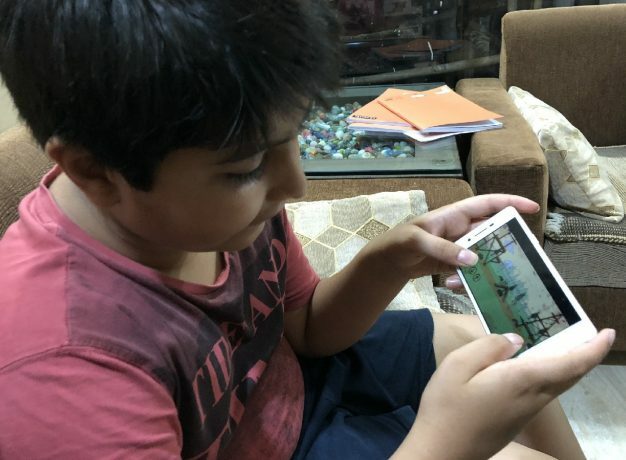 Our simple play times of yesteryear now seem old school for our children and have been replaced by lengthened screen time, playing with ever-evolving gadgets and re-socialization. The focus on indoor activities has reduced opportunities for human interaction and alienated today’s kids from experiencing the joy of nature and free play. For the last decade, I have become a part of the aProCh (a Protagonist in every Child) initiative, taking a cue from the immense body of research that supports the positive impact of unstructured activities and free play on children. This was highlighted explicitly in Richard Louv’s Last Child in the Woods where Louv writes that we are facing nature deficit disorder, which is affecting our children and thus, our society at large. Several research studies show that the independent mobility of a child has been reduced from a distance of 5 km to 500 meters in last 50 years. The child’s connection to his or her surroundings has clearly decreased substantially. Theoretically, children might have more access to information about geographies and the diversity of nature than ever before, but they don’t know how it feels to be in nature — to run around in bare feet, feel the wind while cycling or look at the fields from atop a tree. I have vivid memories of how my school and other educational institutes in our locality used to be centers for community engagement. Initially, schools in India were not just a place for imparting academic lessons to students but also took on the responsibility of adult education and evening sports for those residing in their vicinity. This trend has diminished over the years, and many schools today serve only those children who are formally enrolled with them. Our children are ferried to and from home and school, and there does not seem to be space for any community in between. Consider this – children (0-15 years) comprise almost 30 percent of the total population in India. Today they are spending more time between the four walls of the school, the home or coaching centers than ever before. And every wall that gets added adds a barrier that veils the mind. The focus of education should be to dissolve such boundaries. Unsurprisingly, all of this insight about the current challenges children face in our cities came from none other than my students! In 2007, during one of my conversations with our children at The Riverside School, I got the sense that they often did not feel welcome at all places in the city. Some of them shared how just crossing the street was a herculean task for them, and that they felt unsafe as the traffic paid no heed to their presence on the road. This conversation fired us up to reclaim spaces for our children. The birth of aProCh was momentous and an eye-opener for many in the city. What was most encouraging was the support that began to pour in. We soon joined hands with the municipal corporation, police, corporates, schools, NGOs & citizens to organize child-centric events in the city. I’m so grateful to institutions such as the Indian Institute of Management (IIM), National Institute of Design (NID) and the Centre for Environmental Planning and Technology (CEPT) who continue to extend their unconditional support to aProCh and have played an important role in making this vision a reality. We marched ahead with the ambition of transforming our city into one where the child would have the freedom to explore, derive fun and joy, and have ample opportunity to build happy memories for a lifetime. After this, various initiatives were designed and implemented under aProCh. 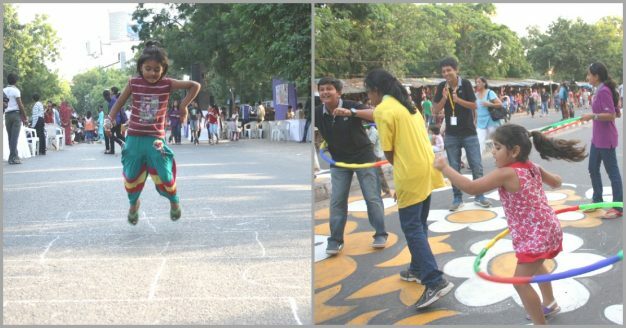 Through one of the initiatives, Street Smart, all the stakeholders have collaborated to make sure that the busiest streets are closed down for traffic once a month and offered children the opportunity to engage in games and fun activities on the street, irrespective of their age, economic background and religion. Subsequently, we opened up more and more spaces to give the message to our children and society that we care. Programs like Mov’ing Experience, Parents of the Park, City on Cycles and City as My Landscape were initiated to provide multiple avenues for children to explore with curiosity, engage in creativity and community while experiencing the joys of childhood. All of these programs under aProCh are based on collaboration and bringing the community together for the benefit of children. We have partnered with around 40 schools and 40 NGOs in Ahmedabad so far, and information regarding the planned events is shared with all of them. This ensures that every event sees the participation of children from different communities and sections of the society, something important to see in the segmented society in which we live! aProCh has been around for ten years now, and the idea has traveled beyond the city of Ahmedabad. 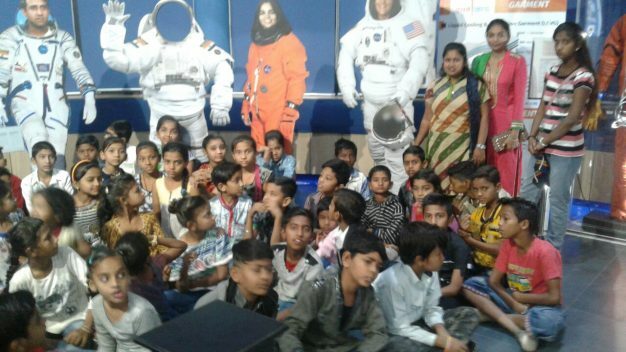 An idea that was born at The Riverside School in 2007 has today touched the lives of children and citizens across ten cities in India, which include Aurangabad, Anand, Baroda, Hyderabad, Jodhpur, Kolkata, Rajkot, Sangamner and Surat. Beyond our borders, aProCh is now in Bangladesh and Mexico as well. The movement has been empowered by the participation of 500,000 children, and aProCh is the Runner-up of the prestigious Financial Times/Citi Award and the Amex Serve2gether pro-bono Award. In our impact study, it was evident that engaging with the aProCh initiatives has multiple benefits for children, such as increased self-confidence and skills, including decision-making, creativity, leadership, teamwork, bonding with peers and respecting others. The initiative has also helped change the mindsets of the local government and the community at large. 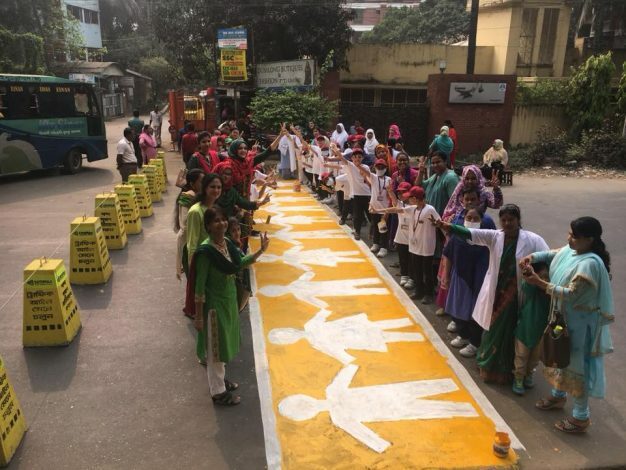 Some examples which make this visible are children participating in “traffic weeks,” leading to the creation of Child-Friendly Zebra Crossing and the designing of parks. This article first appeared in The Better India (www.thebetterindia.com) – Asia’s largest impact media platform that uses solution-based journalism for change.